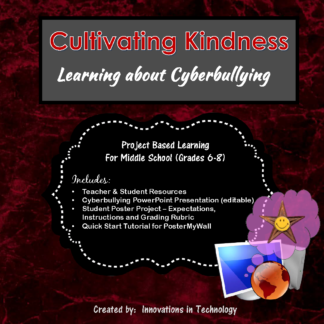 In this lesson, students learn more about what cyberbullying is and how to deal with it. The objective of this lesson is to help students understand kindness and discretion when using social media sites, texting, and interacting with others through other technology. 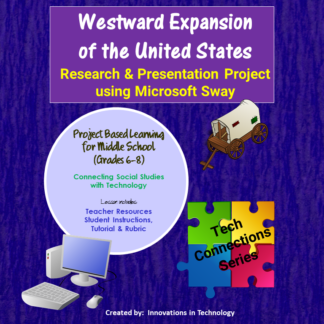 Included with the lesson is a Microsoft PowerPoint presentation for whole class instruction (editable) to start discussion. 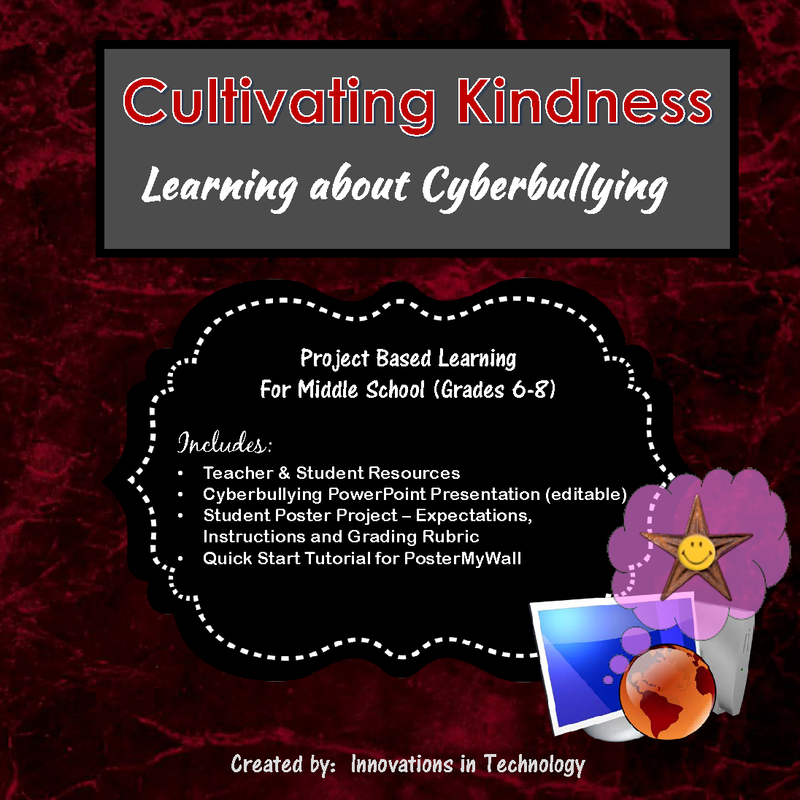 Next, students choose a topic about cyberbullying and brainstorm ways to deal with that issue as they create a poster using Poster My Wall (www.postermywall.com), a free Web 2.0 tool that does not require download. 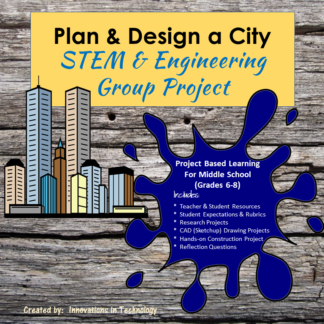 A Quick Start Guide for the program is included to help students navigate the program. 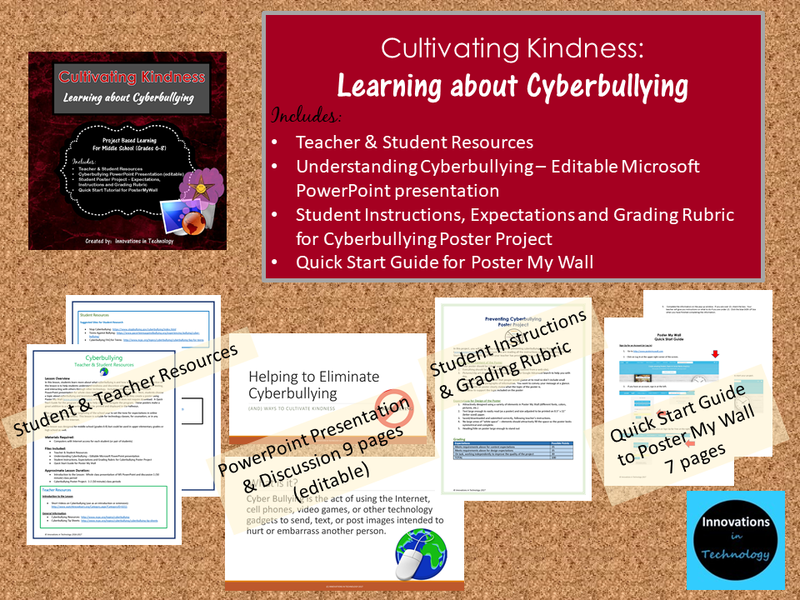 These posters make a great addition to a school website, or can be printed and displayed in the hallways. 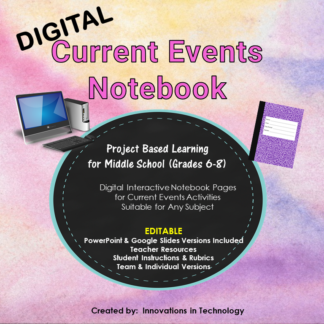 This is a great activity for the beginning of the school year to set the tone for expectations in online activity and communications. 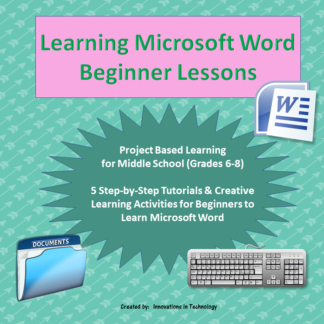 This lesson is suitable for technology classes, for counselors, or in any class that will use the Internet.